If you’re looking for spinal stenosis treatment serving Miami, it’s a good idea to first understand the causes of this condition. Spinal stenosis occurs when the open spaces within your spine narrow, putting pressure on your spinal cord and the nerves within it. Stenosis of the spine often causes symptoms of pain, tingling, or numbness throughout the body. Dr. Jonathan Hyde is an orthopaedic surgeon who performs spinal surgery in Miami and specializes in minimally invasive surgical techniques. In addition to back surgeries for lower back pain and spinal stenosis, Dr. Hyde provides diagnostic care and performs non-surgical treatments, including therapeutic injections. Do you experience pain or stiffness in your neck, upper back, or shoulders? There are many potential causes of this type of discomfort. One of these causes is a cervical disc herniation. A herniated disc in Miami occurs when the center of a disc pushes outward, putting the disc into an improper position and placing pressure on the surrounding nerves. 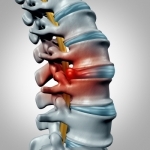 Should You Consider Spinal Stenosis Surgery? If you have spinal stenosis in Miami, you have many options for noninvasive and surgical treatments. Only your doctor can determine your best course of action, so it is important to have a lengthy consultation if you are considering spinal stenosis surgery. If you suffer from chronic back pain in Florida, you should visit a doctor at a spine center or spine institute near you as soon as possible. Chronic back pain and severe lower back pain can significantly affect your lifestyle, and a doctor at a spine center can diagnose the root cause of your back pain.